Discussion in 'Competition Camaros' started by muscl car, Nov 10, 2009. I have a ugly home made one I can take a picture of next time I'm at shop. Just a thought, do not think that a dual carb total cfm and a single carb will be the same. On my little Camaro motor I run dual 1050's, but when I had the single, it ran best with a 1150. The 1300 was way too much and it didn't like it. 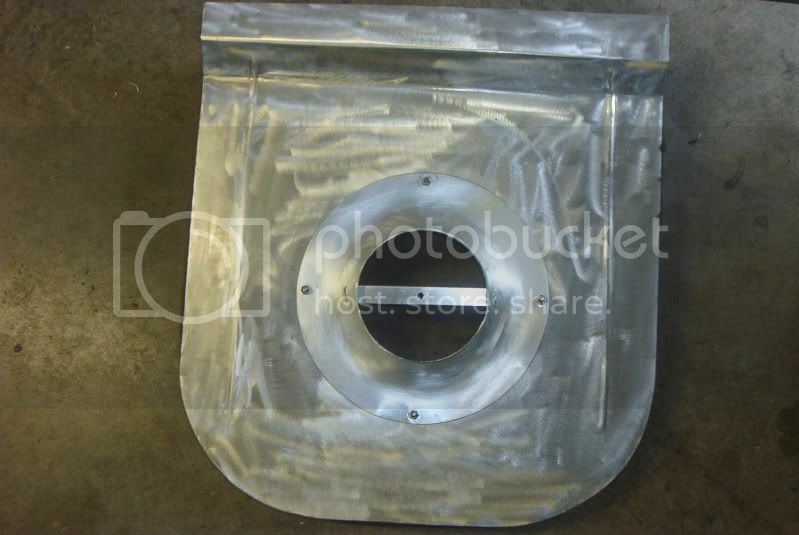 Here the airpan I made up for my cowl hood. do you have any other pics with different angles of that set up ?? 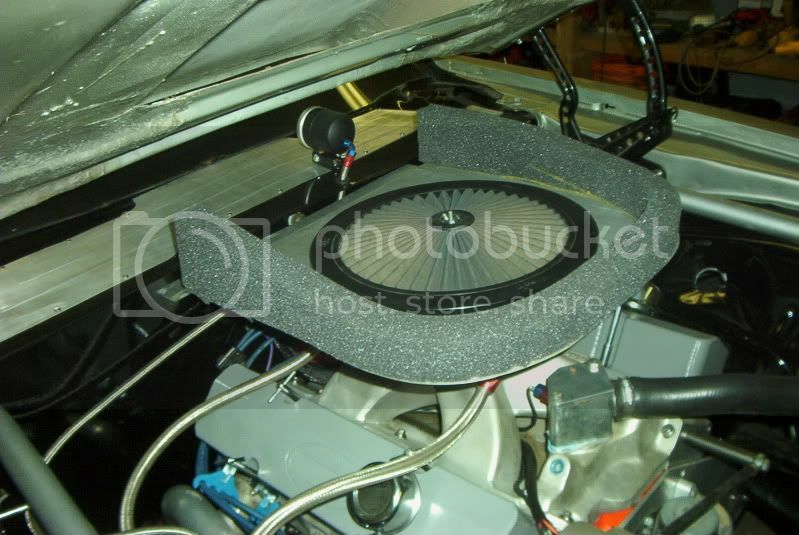 ........... it looks like the air pan is feeding the K&N extreme top only ,correct ?? Here are a couple more pic's. 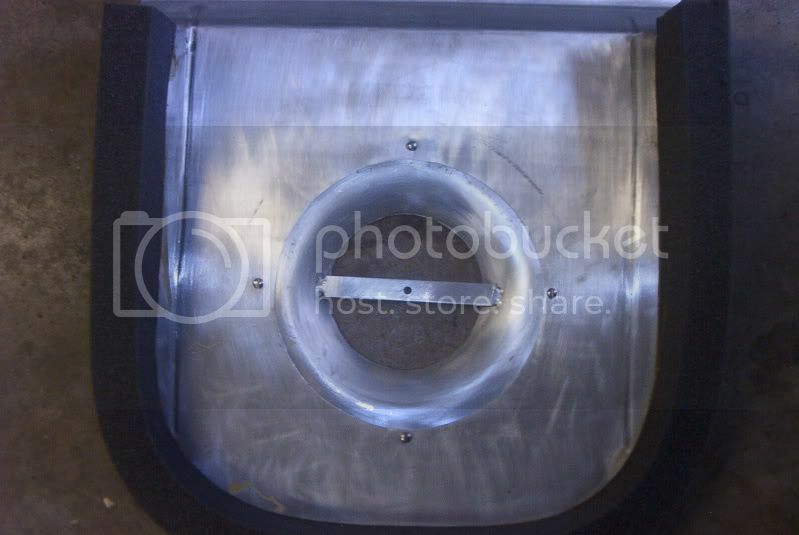 All the pan is some scrap alumium with a carb bell attached, and moroso airpan foam(supposedly fire proof). I don't have enough hood clearence for a filter so I just use the top, when I'm towing or storing the car. Here's mine . I started with an original air cleaner for the base. it's made with aluminum & polished. 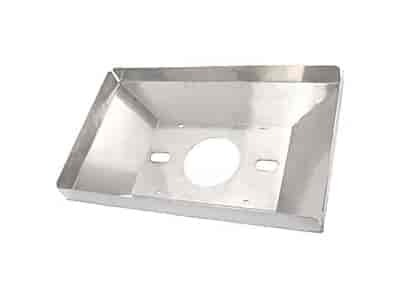 Lid is 1/4" aluminum plate. 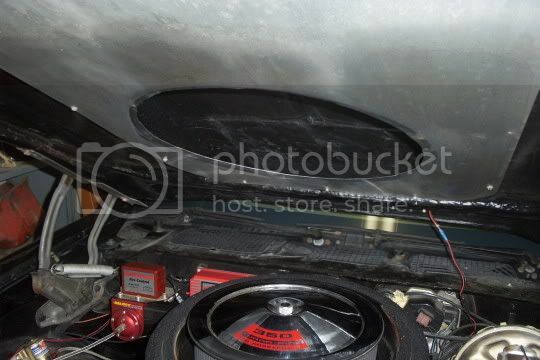 just found this on jegs.com .............. it might work ?? 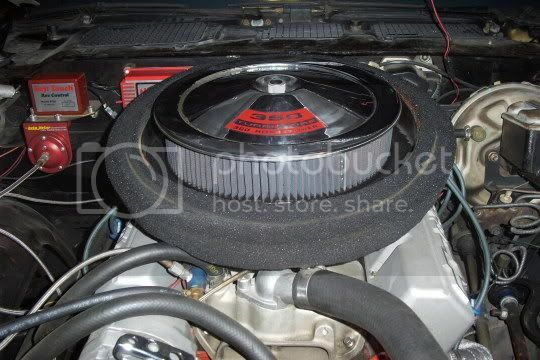 I had that pan sitting under a Harwood scoop on my old dragster. Filter may sit a little too deep in the pan so take that into consideration. I think that pan is at least 6" deep.